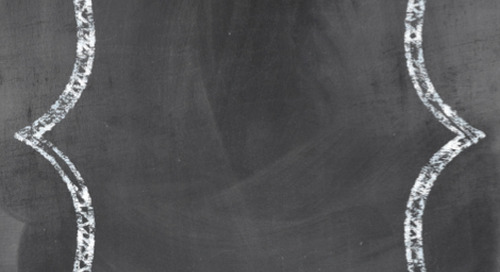 This end of year idea is part of our partnership with two super creative educators from The Curriculum Corner, bringing you free Common Core aligned lesson ideas, teacher resources, and templates you can easily print with your VariQuest Perfecta 2400 or VariQuest Poster Maker - just be sure you have the latest VariQuest Software v4.0! Students will celebrate their reading successes for the current school year. Reading awards for each student in the classroom. 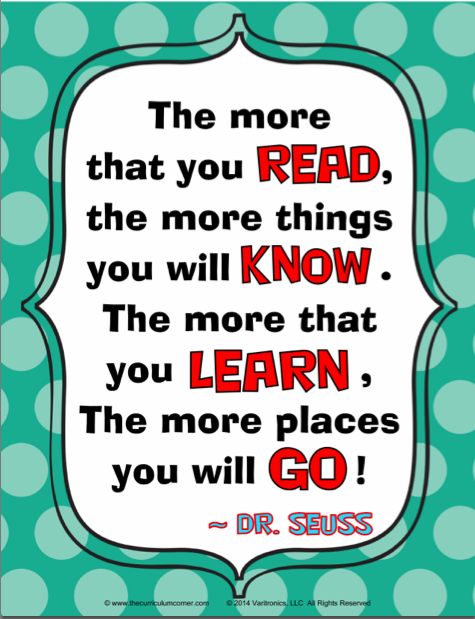 Print and display the Dr. Seuss poster in your classroom. 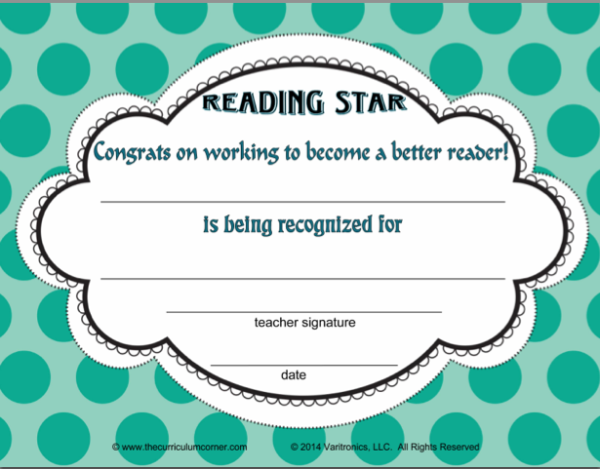 Prepare individual student reading awards based on observations of student reading behaviors from Reader’s Workshop. We have included some ideas below. During one of the final Reader’s Workshop times of the school year have the students gather in an area of the classroom to present awards for reading. Serve snacks and drinks (if desired). 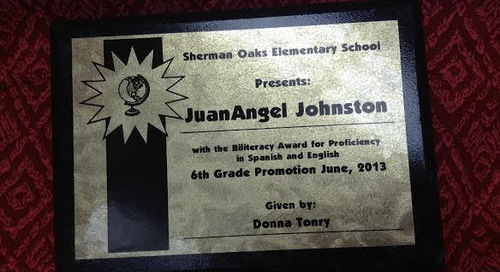 Take a moment to discuss each student’s successes in reading and present the student with his/her award.